We partner with successful business owners and individuals to help preserve and enhance their wealth. Finding the right fit – for you and us – is very important. This is an intimate relationship and we want to make sure that we have the right chemistry for long-term success. We will define our responsibilities and yours, explain our compensation arrangement and agree on how decisions will be made. We want to learn about you: your dreams, your goals, your concerns, your values, your wants, your needs and your legacy. We will ask many questions to learn more about you and request a series of documents for the analysis. We use planning tools and our team’s collective experience to help transform large amounts of data into actionable insight. 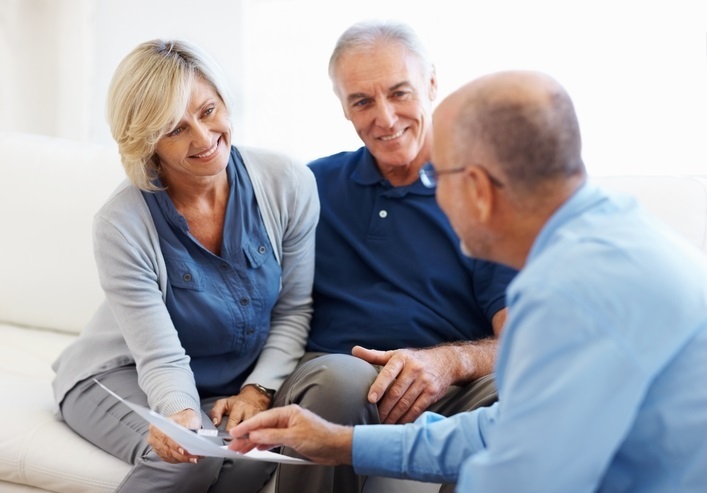 We will provide an overview of your current financial state and a detailed plan with definitive steps, a timeline and recommendations to help you seek your goals. We will discuss how to carry out the recommendations. In some instances, we will serve as a coach coordinating services with professionals such as attorneys, CPAs and real estate professionals. We continually monitor your investments and their progress towards reaching your goals. We interact as frequently as necessary to maximize the probability of success. And as life happens, we are here to guide you through whatever life brings. Want to learn more? Submit your information below and we will contact you shortly.